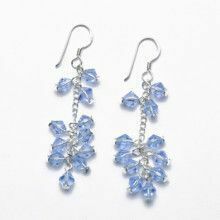 This stunning pair of earrings feature sterling silver hearts resting atop three beautifully vibrant blue crystals. 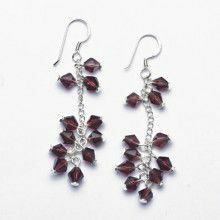 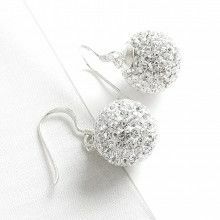 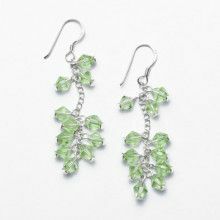 The earrings have a length of 2" and a width of 5/16". 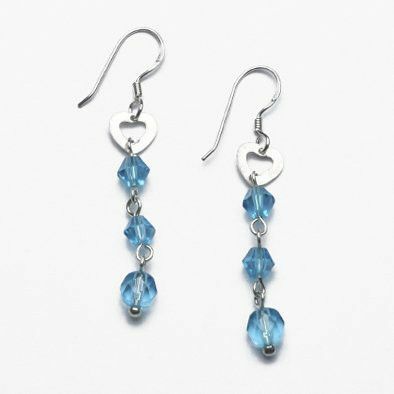 The smaller stones measure 3/16" x 3/16", while the larger stones measure 1/4" x 1/4".